Subsequent to filing our first case involving the Anderson family and Nashville’s Airbnb law, we have been getting a lot of questions. We intend on trying to keep everyone updated as the case unfolds. A basic Q&A seems a logical place to start. A. Airbnb is a website for people to list, discover, and book homes and apartments in other cities. You can find it at Airbnb.com. It’s like Uber for homes. People use it as an alternative to traditional hotels. You can either use Airbnb to find a place to stay. Or you can list your home or even room out and be a host. Airbnb is massively exploding. According to their website, Airbnb, in existence since only 2008, is in over 34,000 cities, 190 countries and has over 35,000,000 total guests. Q. Why would anyone choose to stay in a stranger’s home instead of a hotel? A. People choose to use Airbnb for a lot of reasons. But the primary reason why people choose to use Airbnb instead of staying in a hotel is the unique experience. Staying in a neighborhood allows you to get a feel for the city in a way you can’t in a hotel. You might appreciate having more space, especially if you are traveling with a large family and kids. Some people like having access to a kitchen. And some people choose Airbnb because hotels are too expensive. Part of the experience may involve the homeowner host. That person may or may not stay there when you do. But oftentimes you have a contact with that person who as a true local can give you great tips on where to eat or go out, or what you should avoid. You just can’t get that feeling of hanging out with locals from a hotel. A. Exactly the kind of people you want to move to Nashville. P.J. and Rachel Anderson are a married couple with two (2) children living in Germantown. They are young, friendly, and interesting people. He’s a professional singer/songwriter who is often on the road. She’s a graphic designer. They moved down here from Chicago and they love Nashville because they enjoy the urban lifestyle. P.J. travels and Rachel can work remotely which allows Rachel and the kids to travel with P.J. as often as they can. Airbnb has been great for the family. It’s altered their financial picture to the point that their mortgage is no longer a major concern. Now, they can save money and invest in their professions. They can put money away for retirement or the kids’ college. Airbnb is a game changer. Best of all, it doesn’t cost anyone in Nashville anything. Everyone wins. Q. How does Nashville win? A. Airbnb draws tourists and tourists spend money. A study in Chicago found that for every $100 spent on a short-term rental, another $69 went to food, $24 went to transportation, $59 went to shopping, and $48 went to entertainment. Would some of those people using Airbnb come anyway and stay in a hotel? Of course some would, but certainly not all of them. Airbnb is just a different way to travel and some people seek that out. Plus, check out the prices of hotels downtown. Frankly, it’s out of reach for most of us. For those folks, it’s Airbnb or they don’t come to Nashville. This leads to another point. Airbnb is a good way to address the hotel shortage in Nashville. A lot of people don’t know this, but the city spends tons of taxpayer dollars building hotels. The recently constructed downtown Omni Hotel alone is estimated to cost Nashvillians more than $125 million over the next 20 years. When the NRA convention came to town, we heard anecdote after anecdote about the hotel shortage. One person told us they were staying in Chattanooga because that was the closest place they could get a room. Airbnb doesn’t cost the taxpayer one red cent. Nashville should be doing everything it can to encourage the growth of Airbnb in downtown neighborhoods like where the Andersons live, not discouraging it with hastily crafted and burdensome regulations. There is also a benefit that’s a little more intangible. 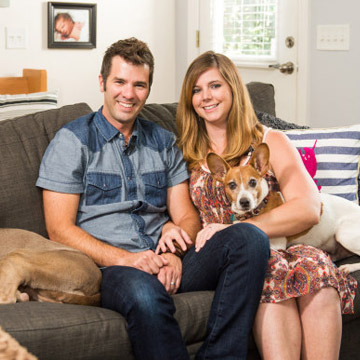 Nashvillians hosting on Airbnb are becoming entrepreneurs. Yes, part of that is just about making money (as if that’s so bad). But it’s more than that. Most people will never get the chance to run their own businesses. With Airbnb, they get a taste of that. The Andersons like having some control over their financial destiny. They make money, sure, but they also get to discover the independence and fulfillment that comes from running the show. The young people who are most active on Airbnb benefit the most. In this day and age of wage stagnation, student loan debt, and grim employment prospects, it seems like they deserve something to break in their favor. Q. What did Nashville do to make the Andersons file a lawsuit? A. Airbnb was working fine. Still, the city decided to pass a law aimed at it anyway. Some of the things about the law make sense. You have to have insurance (Airbnb requires this, but other similar sites might not), you have to pass a fire inspection, you have to collect and remit state and local taxes, including a tax on hotels and you have to abide by noise restrictions. Basically, Nashville is making sure you do the things you’d expect a responsible host to do. Some of the things are annoying and unnecessary, like forbidding you from serving food, but we aren’t really concerned about them in this lawsuit. The really problematic aspect of the law has to do with a cap on the number of non-owner occupied permits available. So if you live there, there is an unlimited number of permits available. If you don’t, only 3% of a particular census tract (neighborhood) can get a permit. A. It treats people differently under the law, and that’s not fair. Some people simply won’t get to do something other people get to do. Imagine your neighbor gets to do this really fun thing that, by the way, isn’t so bad from a finances perspective. You want to do it. Too bad. You can’t. It doesn’t have anything to do with you. Someone just arbitrarily set a cap and you came to the party too late. It’s actually worse the more you look at it. The permits are good for as long as you want them so long as you renew them each year. Q. So what ended up happening when they started issuing permits? Q. Why is that ironic? A. Because those are the places where you’d expect people to be most concerned about the effect Airbnb would have on their neighborhood. Traditional residential character isn’t much of an issue in Germantown. It’s urban living. Turns out, there was nothing to worry about all along. It all worked itself out. We still have this law though. Q. I still don’t get why that’s ironic. A. Maybe it’s not. I’m not sure I really know what ironic means. That Alanis Morissette song really mixed me up. Q. Back to the point. What’s the big deal if you can’t get a permit? A. For all we know, that’s it as far as permits go. If you live in Germantown now and tried to get a permit but failed, too bad. If you move there now, you will never have had the chance to get a permit, and that just isn’t right. People’s life situations change, Nashville can’t just set one day to get these valuable permits. People run down to the permit office like it’s the Oklahoma land rush and then Nashville never reopens the permit process again. It’s like you sat down to play cards and all four aces were dealt to the first guy who sat down at the table. In other words, it’s discrimination. It treats Nashvillians unequally. Most people just never get a fair shot. And it’s all written in the law. We aren’t talking about some discriminatory impact here. This is just flat out unfair. People are not able to get a permit purely because of decisions made by their neighbors. Your options shouldn’t depend on what other people do. The choices made by other people should not affect what you can and can’t do under the law. There’s more. 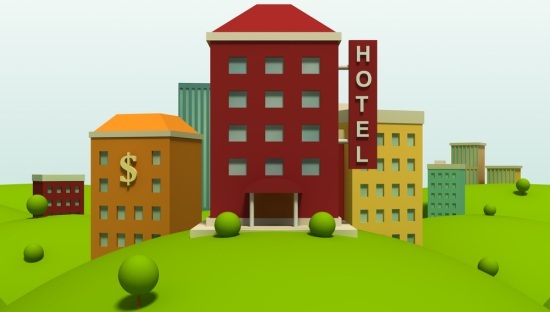 Hotels, bed and breakfasts, boarding houses, and motels are exempt from the statute. Airbnb-ers, remember, have to pay the same taxes hotels do. But hotels aren’t subject to the same restrictions. When are you an exempt hotel and when do you fall under the Airbnb law? Who knows, but that’s something we challenge in the lawsuit. Q. How did this law hurt the Andersons? A. The Andersons tried and could not get a permit. At the time the law came into effect, the Andersons didn’t qualify. They lived there so they needed an owner occupied permit, which they got. But things changed. After the law was passed, Rachel suddenly was faced with a very real job prospect that means they would have to move back to Chicago. That means they need a non-owner occupied permit. But when P.J. went to get one, they were all out. Airbnb is important to them. It has totally altered their finances. They don’t want to lose that. But it’s about more than that. They don’t want to lose this house. Not only do they love the house, but they love this neighborhood. They envision a day when this house is paid off and they can retire. But they can’t afford two mortgages unless the house paid for itself on Airbnb. Essentially they face a choice—sell the house or never take another job. With no other options they had to file this lawsuit. Like most people, their home is the biggest investment they have. Decisions about your future should be strictly between the family sitting down at the kitchen table. But it’s not. This misguided law plays a huge role in their decision. It’s like city officials invited themselves inside, pulled up a chair to that kitchen table and started making important decisions about the Andersons’ future for them. The government shouldn’t be deciding what you do in your bedroom. Why should they decide what you do with your bedroom? That’s what this lawsuit is about. A. No. There are other rights in play here too. First, there’s a free speech component. 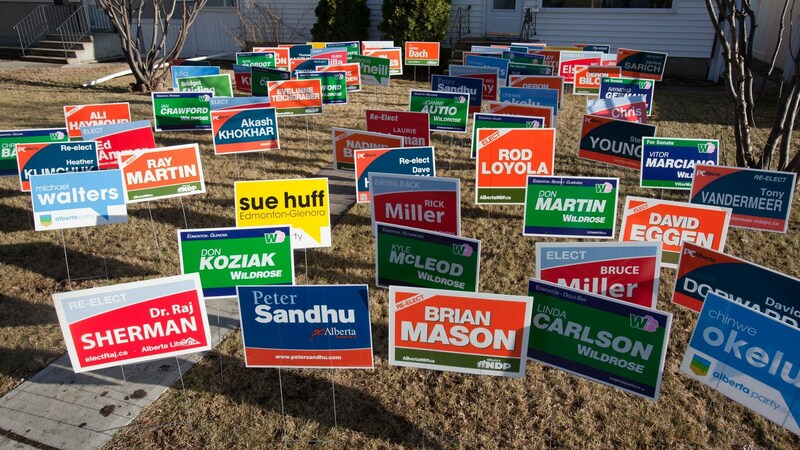 You may have noticed in your neighborhood that signs are pretty common. Signs for yard sales, sporting events, construction signs, signs congratulating high school graduates, political signs. People put out signs warning that they have security systems. The lawn guy sprays and puts out a sign. Whatever. But for some reason, the Airbnb law went out of its way to single out those kinds of signs. Never, under any circumstances, can you put out a sign that mentions Airbnb. Doesn’t matter how temporary. Doesn’t matter how small. What makes those signs, specifically, so bad? The Andersons are challenging this restriction. Rachel asked if she could put up a small sticker in her window when her guests arrive so they’d know they came to the right house. Makes sense right? She asked the Codes Department if she could do that if she took it down right after the guests left. She was denied. She also asked if she could put up a small yard sign during Oktoberfest when a lot of tourists are walking around the neighborhood. Again, it would have just been temporary. Again, no dice. Both signs would have been fine except for the fact they mention Airbnb. Weird. Also, people housing “transients,” that includes Airbnb hosts, are required by Nashville to keep records on their guests. The thinking is that if the police ever need them, you should have to give those records up any time they ask. No warrant, nothing. That’s unreasonable as well, and the Andersons are also taking aim at that. Q. What’s the deal with that records thing? That seems pretty out there. A. Agreed. It actually is part of a separate law aimed at your typical hotel. But it’s written so broadly it would apply to Airbnb-ers. This actually makes a larger point—a lot of times laws are written without a whole lot of thought about how they could wind up affecting people in unintended ways. Here, no one anticipated something like Airbnb. The problem is the city council is good at passing laws but there’s no city council devoted to taking a look at the laws they passed to see if they’ve ended up hurting folks that weren’t supposed to get hurt. Q. That’s actually a pretty good idea. Why don’t we have a city council devoted to knocking out laws that are dumb and hurt people? A. That is a pretty good idea. We just thought of it. Q. Isn’t it important to have this law to protect the residential character of neighborhoods? A. Protecting the character of residential areas is the usual justification for these sorts of laws, but it’s not a very good one. First, the actual harm presented by having a few tourists stay in a residential house seems speculative at best, if not outright unfounded. A trashed house on Airbnb gets terrible reviews. No one wants to stay there. Look, normal people pick up before they have guests. Airbnb gives people a special reason to keep their houses tidy. Can inconsiderate guests book a stay on Airbnb? Sure. Bad neighbors are a risk of home ownership. But bad neighbors don’t leave in a few days. If you have some rowdy tourists next door you have same options that you do if you bad resident neighbor: call the city and register your noise, garbage or parking complaints. Besides, prohibiting someone else from doing what they want with their own home because of what might happen seems kind of heavy handed. No one would suggest that we should outlaw the right to rent your house out long-term because you might rent it to a bad tenant. If it happens, you deal with it the old fashioned way. Sign them up to join a commune. (just kidding). What you actually do is complain, first to your neighbor (hopefully), then to the City. Second, consider where the Andersons live. It’s Germantown where you will see shops, high density condos, multiple new construction houses crammed onto one lot, and then you will find houses with boards over the window. It’s urban living. You can walk to the Farmer’s Market or the new Sounds stadium. The industrial riverfront isn’t far. It’s hard to see what harm a few tourists would do. This isn’t like other, traditional residential neighborhoods. Treating all parts of the City the same is a big problem with this law. 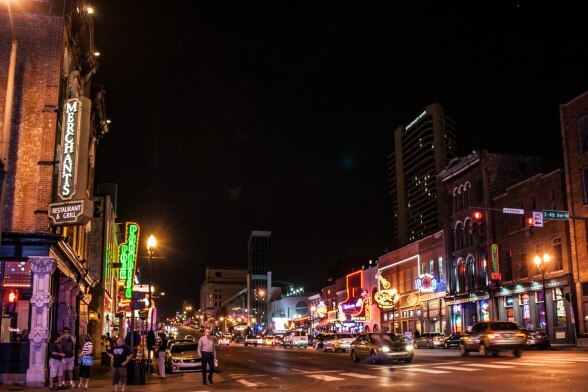 Third, Nashville hasn’t chosen to ban Airbnb. They haven’t even placed a cap on the number of Airbnbs, just on non-owner occupied Airbnbs. Theoretically, your whole neighborhood could be on Airbnb. And that’s actually harder on a neighborhood. When the Andersons rent, they leave and are replaced by their guests. So the net impact on Nashville’s infrastructure is zero. It makes no sense to have unlimited owner occupied Airbnbs if your concern was residential character. The manner in which Nashville has chosen to regulate Airbnb doesn’t do much to maintain the residential character, if that was indeed the goal. Next, even if you think you have to do all this to preserve residential character, you can do all this without all these special exceptions. Long-term rentals don’t face this treatment. Hotels, bed and breakfasts and boardinghouses get a pass altogether? Don’t they also affect your residential character? Heck, hotels are so much more damaging to a residential character because they pack hundreds of people onto a small area. 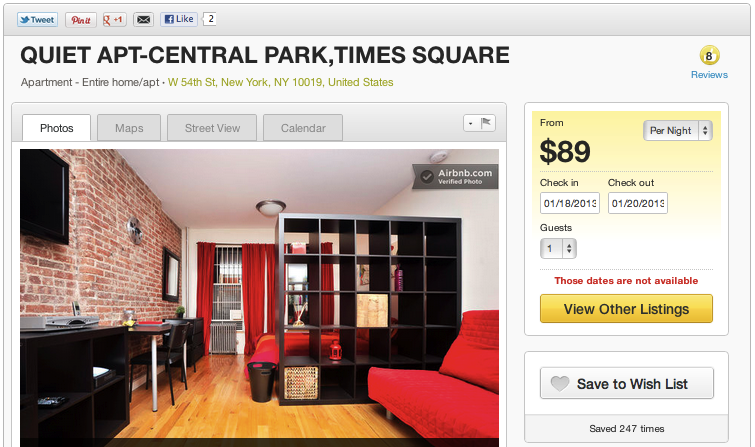 Why are short-term rentals getting singled out? What makes them so dangerous? Is this just the usual anxiety about something new? Finally, it isn’t like we need to be terrified of a world where Airbnb is free to operate without permits. We had that up until July and everything was just fine. 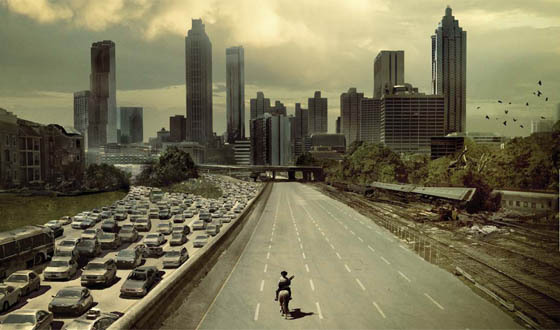 It’s not like Nashville was some city out of the Walking Dead. A. Can’t they just rent it out the regular way (by the year or six months or whatever)? Well yes, but that’s a pretty bad option for them. Number one, a long-term renter really makes you a landlord. And an absentee one at that since they will be in Chicago. Being a landlord means having to deal with tenant issues. It also means more wear and tear on the house because someone is there all the time as opposed to just a few days. Second, they want to continue to use it. P.J. is a musician, remember? So he plans on being in and out of Nashville regularly. Having a place to crash is nice. Plus, they want to keep coming home to visit. Q. So why are the Anderson’s filing a lawsuit? A. Two reasons. Number one, they can’t keep the house and move. They want to be able to keep the house and move. This lawsuit is a last resort. That’s all explained upstairs. The second reason is that they believe in it. They think the law is unfair and hurtful, not just to them but to others. The Airbnb community is fairly tightknit and, as you’d expect, tech savvy, so most of them know each other, or at least communicate. The Airbnb community has seen something that was fun and easy and helpful get taken over by a really harsh law that no one thought about enough before passing. Only the heavy hitters who can hire lawyers and accountants seem to benefit from the law. They snatched up a lot of the limited number of permits. They can afford to pay someone to keep up with the law’s demands. A lot of other people like the Andersons are saying it’s not worth fooling with, leaving it all for businesses. There’s another group of people out there who just don’t care. They are just going to keep operating without a permit until someone stops them. It’s too difficult and costly to keep up with. For the little guys like the Andersons, it’s easier just to quit, frankly, than honestly maintain what now amounts to running a small business. That’s not what anyone expected when they joined Airbnb. The Andersons don’t want to quit. But they aren’t rich. And they don’t want to act illegally. So for them, the lawsuit is very much about doing the right thing. Yes, that’s real. Quit being so cynical. Q. Why did the city do this? A. Who knows. There’s not a really good reason. It wasn’t like this city was inundated with short-term rentals tearing apart our residential neighborhoods. Chances are, you probably didn’t know Airbnb existed before this lawsuit. So why is there a law? You can watch and see for yourself when they debated it (available online), but you won’t learn much. You get the sense that that lawmakers felt that because it was unregulated, it needed to be regulated. In America, that’s backwards. You need to justify regulating something, especially something as personal as what you want to do with your home. Q. Yeah, but this is new. Don’t we need to stay on top of it or who knows what might happen? A. It’s really not that new, actually. Sure, the internet portion is. But sharing your home with boarders is not. It’s actually pretty old fashioned. “Boarding out” was a practice that exploded in America before the Civil War. Historical estimates place the number of households who took in boarders in nineteenth century America at anywhere between one in three and one in five. In the mid 1800s, 3/4 of the adults in Manhattan were boarding house guests. In many ways, Airbnb represents a return to something very old, with a modern twist. In fact, most of the delegates to the Constitutional Convention stayed at boardinghouses in Philadelphia during the convention. Sherlock Holmes lived in a boardinghouse. 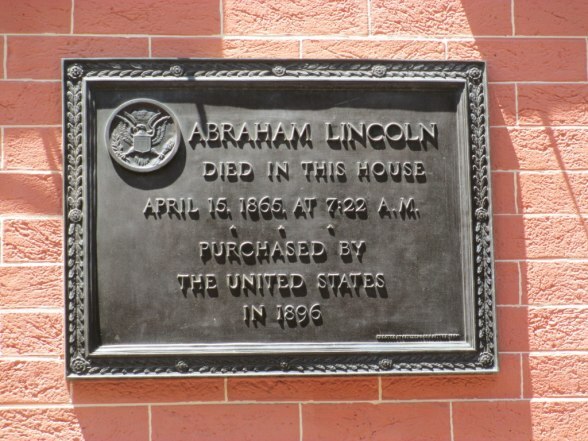 Lincoln stayed in boardinghouses when he was just a congressman. John Wilkes Boothe conspired to kill Lincoln in a boardinghouse. 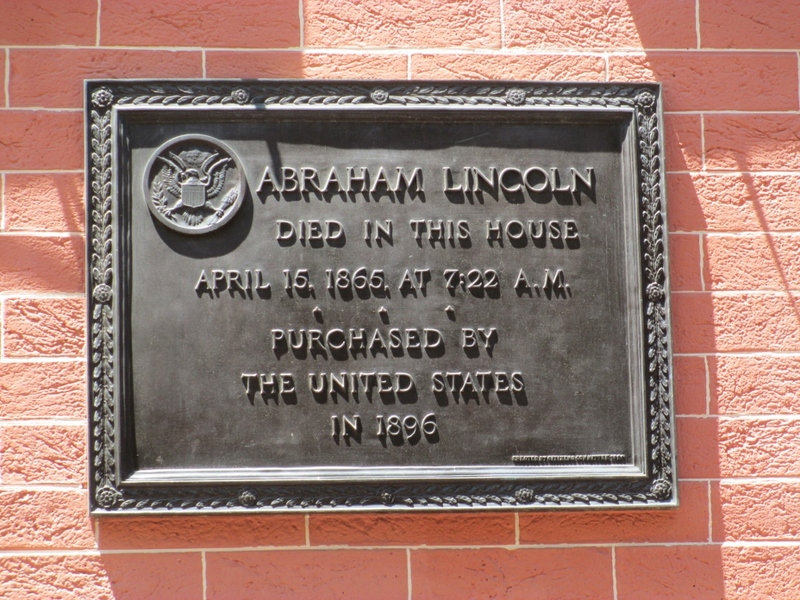 After he was shot at Ford’s Theater, Lincoln was carried across the street to… a boardinghouse where he ultimately died. Boardinghouses figure prominently in Tennessee’s history in particular. Andrew Jackson met his wife, Rachel, while boarding at Rachel’s mother’s house. Also boarding at that house was John Overton, who went on to become one of Jackson’s most intimate advisors when he was president. Meriwether Lewis (Lewis of the Lewis and Clark expedition) died under mysterious circumstances at a log cabin lodging house on the Natchez Trace near Hohenwald, TN. What we consider “normal” is what’s strange in the grand scheme of things. It would make perfect sense to people of a hundred years ago that strangers stay in other people’s house for money. If anything, they’d probably be amazed that people of today are so closed off that they can’t even imagine a stranger in their house. They’d probably be more liable to find it strange that cities are getting involved with what homeowners want to do with their own homes. At any rate, fear of the unfamiliar is, however expected, not exactly something we want to run with. There were people out there who wanted to regulate the internet before anyone even knew what it was. Glad that didn’t happen. You can wind up crushing some real innovation. Thomas Edison famously electrocuted an elephant to highlight the dangers of alternating current (AC) electricity. There’s a lesson in that fried elephant. AC electricity is perfectly safe. It’s what courses through the power lines you see everywhere. AC power is what you have in your house. You use it all the time without even thinking about it. The modern world wouldn’t exist without it. Edison just didn’t like it because it was the brainchild of his direct competitor, Nicola Tesla. He fried that elephant to scare everyone. There were probably lots of people out there who’d of thought that there was no way you could have it your house or you’d end up like a fried elephant. In a way, the Airbnb debate sort of mirrors this debate and thousands of others throughout history. This isn’t safe. Someone do something. Let the Andersons have their permit. Don’t let them become Nashville’s fried elephant. Ellen Margulies, Airbnb, Other In-Home Vacation Rentals Face Rules, Taxes, Memphis Daily News (Oct. 4, 2014). http://www.memphisdailynews.com/news/2014/oct/4/airbnb-other-in-home-vacation-rentals-face-rules-taxes/ (last viewed Aug. 11, 2015). Matt Batcheldor, Why Music City Center is losing out, Nashville Business Journal (Jan. 24, 2014). 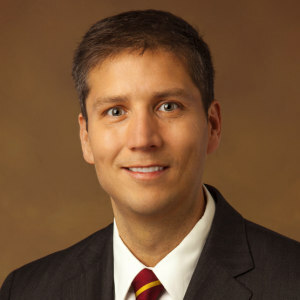 http://www.bizjournals.com/nashville/print-edition/2014/01/24/why-music-city-center-is-losing-out.html (last viewed on July 21, 2015); Joey Garrison, Council signs off on Omni Hotel financing, The City Paper (Oct. 19, 2010). http://nashvillecitypaper.com/content/city-news/council-signs-omni-hotel-financing (last visited on July 21, 2015). Joey Garrison, Cost increases for proposed convention center hotel, The City Paper (Sept. 30, 2010). http://nashvillecitypaper.com/content/city-news/cost-increases-proposed-convention-center-hotel (last viewed on July 21, 2015). Jamila Jefferson-Jones, Airbnb and the Housing Segment of the Modern “Sharing Economy”: Are Short-Term Rental Restrictions an Unconstitutional Taking?, 42 Hastings Const. L.Q. 557, 561-62, n. 24 (Spring, 2015). http://www.brynmawr.edu/cities/archx/05-600/proj/p2/aca/early_boarding_houses.htm . (last viewed Sept. 11, 2015). http://www.abrahamlincolnonline.org/lincoln/sites/homes.htm. (last viewed Sept. 11, 2015). https://en.wikipedia.org/wiki/Mary_E._Surratt_Boarding_House. (last viewed Sept. 11, 2015). http://www.mrlincolnswhitehouse.org/inside.asp?ID=635&subjectID=4. (last viewed Sept. 11, 2015). http://historyspaces.blogspot.com/2012/02/andrew-and-rachel-jackson-love-story.html (last viewed Sept. 11, 2015). http://tennesseeencyclopedia.net/entry.php?rec=1029. (last viewed Sept. 11, 2015). http://www.smithsonianmag.com/history/meriwether-lewis-mysterious-death-144006713/?no-ist. (last viewed Sept. 11, 2015). http://knowledgenuts.com/2013/10/19/edison-publicly-tortured-animals-to-discredit-ac-power/. (last viewed Sept. 11, 2015).